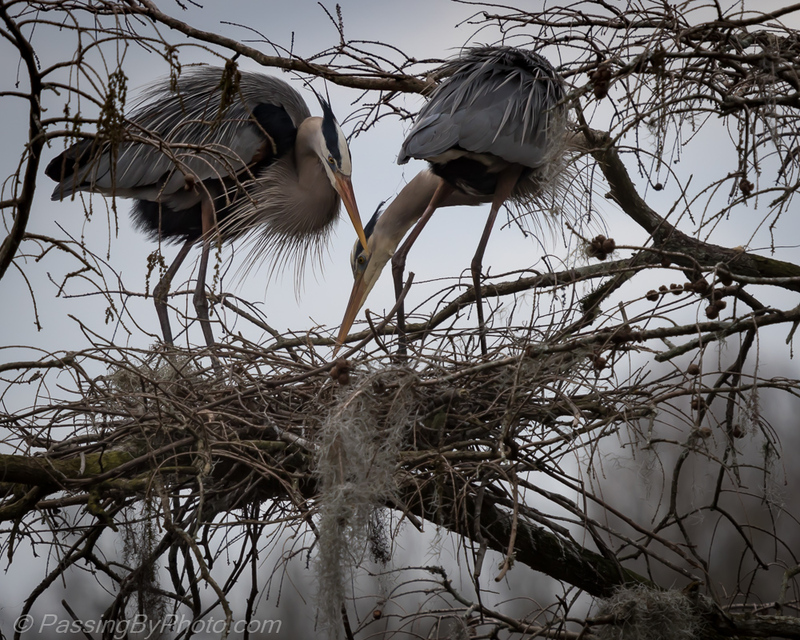 The Great Blue Herons have arrived at the Audubon Swamp Rookery and wasted no time fixing up their nests and getting ready for their next brood. They did take some breaks for displays of affection. The males gather most of the nest material and the females spend quite a bit of time arranging it. 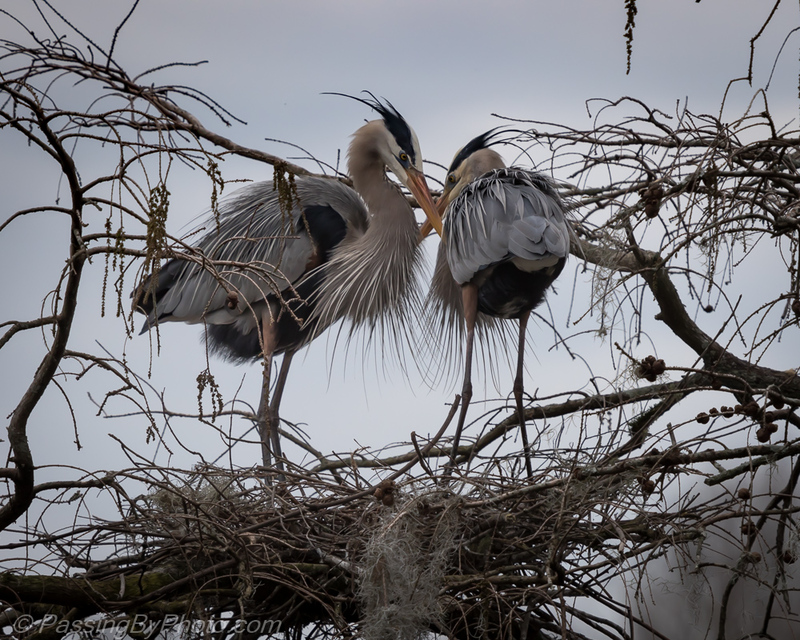 This pair was relatively quiet, but others in the rookery did a lot of squawking as they worked on their nests. 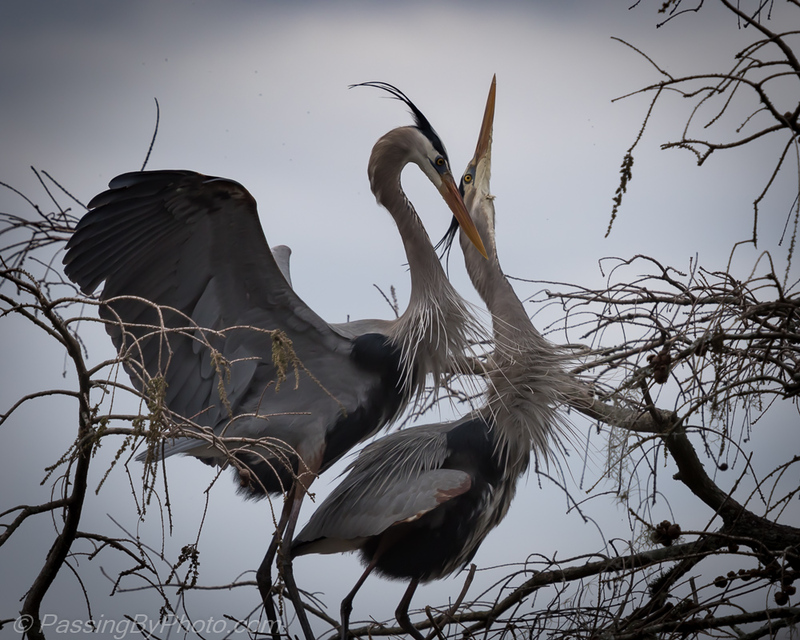 Fantastic series of images,great detail of an impressive bird in its natural enviroment.